Nothing completes a physique better than thick and sculpted muscular legs. The teardrop quads, grainy defined hamstrings and a firm set of glutes. They’re the biggest muscles in your body, and by extension, your biggest source of testosterone. And this article will teach you how to take full advantage of them. Your legs and glutes are the strongest and largest muscle groups in your entire body. When you fully contract the leg and glute muscles, there is a huge ‘surge’ of testosterone into the bloodstream. This helps with whole body muscle growth, repair and development. For example, if you’re doing a full body routine, perform leg exercises first. This will increase the amount of free flowing testosterone within the body and giving the rest of your body more available Testosterone to boost performance. Isolation exercises like leg curls and extensions don’t cut it if you want the most T. Replace them with some real impact exercises such squats, lunges, swings, glute bridges and deadlifts. When you heavy squat, you release 10 times more human growth hormone – this is a powerful muscle builder and fat burning hormone. The workout below is one of the best out there for building up your lower body strength and testosterone levels – don’t forget to concentrate on good ‘form’ before lifting heavy. You can find the exercise descriptions below to use as coaching points for the whole work out. It works great for for leg days or a split routine with another muscle group e.g. back, shoulder, arms etc. The choice is yours, enjoy the burn, go heavy and when lifting the weights be very explosive! Exhale on the return up. Feet shoulder width apart, toes pointing out, hold dumbbells at side of body. Keep shoulder blades pinched at all times. Exhale on the jump up, inhaling on the landing. Your hip momentum should move the KB and not your arms. Your knees should never go over your toe line. Drive body weight up through heels and repeat with opposite leg after 1 repetition. Not training your legs and glutes will have a negative effect on your progress by limiting your overall amount of testosterone. Training them hard will is the key to faster results, bigger size and greater strength. Using the above work out you will boost your testosterone levels, by recruiting a large number muscle fibers. This increases your muscle building potential throughout your whole body. Remember to be explosive in your training, and maintain solid form. Heavy compound movements aren’t the only thing you can do to boost your T-levels, diet is important too – and TestoFuel is a good place to start. As an anabolic support complex, TestoFuel is packed full of all the top-performing natural nutrients that support testosterone production and optimizes your hormonal levels. If you want to take your training one step further, this is exactly what you need. Let us take the risk. If you do not see any results then we will gladly refund your money. Just order 90 days (3 months worth) or more of TestoFuel testosterone booster and you will be covered by our cast iron guarantee. So whether you order a 3 month supply or a 12 month supply you will be covered. Order right now and start making your workouts count! End the frustration and finally see growth week after week. TestoFuel in Australia – Where to buy it? TestoFuel in Canada – Where to buy it? TestoFuel in Ireland – Where to buy it? TestoFuel in UK – Where to buy it? TestoFuel in USA America – Where to buy it? What Supplements Should I Stack With TestoFuel? 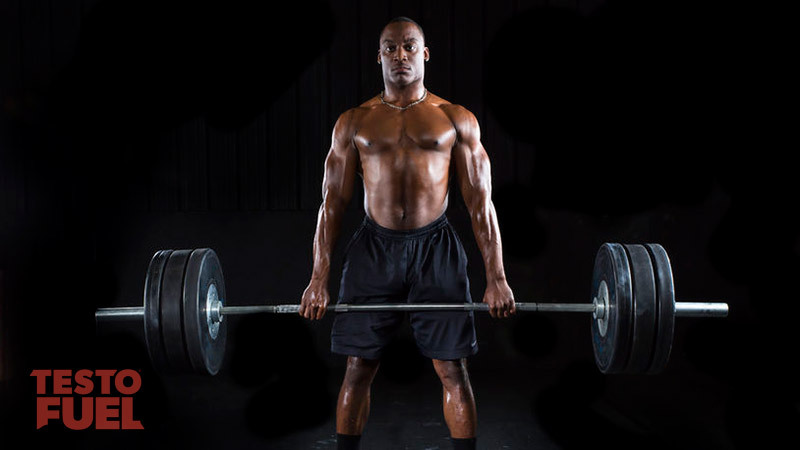 Training Frequency and Testosterone: What Works Best? Why Do Testosterone Levels Drop With Age? We insist the risk is on us, so simply try TestoFuel for 90 days and if you do not see any results then we will gladly refund your money. We ship worldwide from the USA and the UK using fast tracked shipping services.